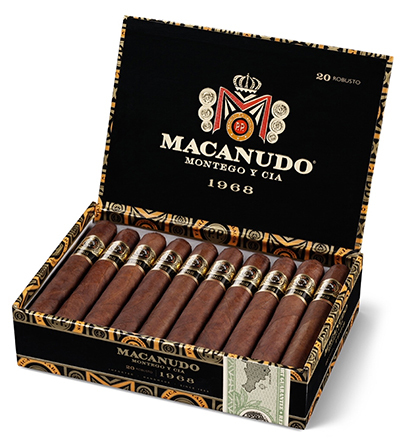 Macanudo 1968 cigars were created in 2008 to celebrate the premium cigar brand's 40-year legacy. Blended entirely from proprietary Dominican and Nicaraguan filler tobaccos bound in Habano Connecticut, the surprisingly rich and full-bodied 1968 is wrapped in a dark, rustic Honduran San Agustin leaf. With intricately balanced flavors of cocoa, caramel, coffee, sweet nuttiness, a touch of pepper, and an inherent natural sweetness from the soils that bore each tobacco, you'll find the highly rated 1968 a pleasure to smoke from the first draw to the last.